Move over, McDonald’s and Burger King; there’s a new vegetarian-friendly burger in town and it’s drawing rave reviews among diners, especially among vegetarians and vegans. Wendy’s, America’s third largest fast food chain, is test marketing a new Black Bean Burger that finally gives vegans and veggie lovers alike real, edible options – virtually unheard of at other quick service chains. Unlike McDonald’s not-so-successful attempt 15 years ago at making a meatless patty called the McVeggie Burger, Wendy’s has crafted a completely different blend of black beans, peppers, wild rice and zesty spices. Wendy’s is also giving Burger King’s Veggie Burger and some stiff competition. While BK’s burger has historically received reasonably high ratings, critics say it’s high in sodium and cholesterol – a whopping 1,090 grams and 10 mg, respectively. 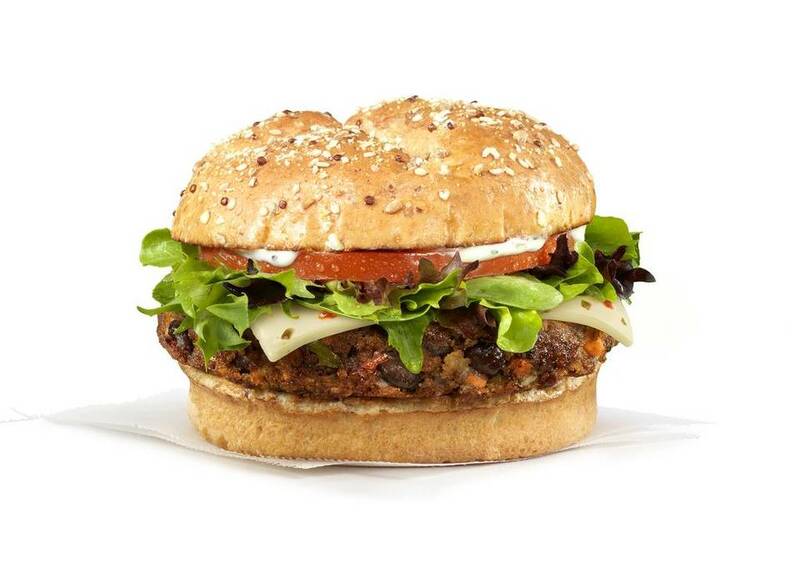 Calorie-wise, BK’s Veggie Burger is comparable to Wendy’s vegan version at 420 calories each. Wendy’s standard recipe packs 19 grams of protein, compared to BK’s whopping 23 grams—great if you like textured soy protein. Rather than try to offer another soy-based meat substitute, Wendy’s instead focused on creating a mouthwatering burger packed with wholesome flavor, something that vegetarians will love, and meat eaters can appreciate too. This zesty burger is tender on the inside with a hearty outer crust you’d expect from a grilled hamburger. There’s simply no comparison with BK’s microwaved version, which uses a Morningstar Farms© Veggie Burger, running the risk of sacrificing taste and texture. BK’s Veggie Burger derives its meaty taste from mushrooms, water chestnuts, black olives, rolled oats, and sugar — sadly, an ingredient carb conscious consumers might want to nix. Both the McVeggie and BK Veggie Burger were made with textured soy protein, a far cry from the fresh legumes, grains, vegetables and spices Wendy’s includes in its Black Bean Burger. Is the Wendy’s Black Bean Burger Healthy? While we won’t say that a black bean burger from a fast food restaurant is a “healthy” food, we can say that studies suggest that black beans can help prevent colon cancer, Type II diabetes, and cardiovascular disease. They’re a low-sodium and cholesterol-free food, but we can’t say the same for the other parts of the burger. Even without the cheese and sauce, this burger is a hefty portion of sodium, so we don’t necessarily recommend making this a staple of your diet. At the end of the day, it’s still a special treat. The Wendy’s Black Bean Burger is naturally vegetarian-friendly, and without the cheese or Asiago Ranch sauce, it can be vegan-friendly as well. The standard preparation includes milk and cheese, but customers can opt for Wendy’s vegan version without dairy products. The vegan version is just as tasty with only 420 calories, zero cholesterol, a mere 12 grams of sugar, 14 grams of protein and just 68 carbs. Wendy’s new vegetarian Black Bean Burger is a quarter pound patty – round, not square in the Wendy’s burger tradition – topped with a slice of Colby Pepper Jack cheese, tomato and leaf lettuce, crowned with a hearty dollop of Asiago ranch sauce on a toasted multi-grain bun. 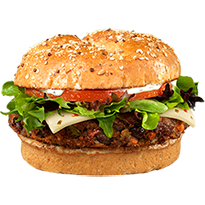 Wendy’s new burger patty combines tender black beans blended with red and green bell peppers, quinoa, farro (an ancient grain), brown rice, wild rice, sea salt, oregano, and a Southwestern trio of cilantro, garlic, and chili powder for a little kick. It’s hard to believe this is straight off of a fast food menu. At present, the Black Bean Burger is being tested in just three U.S. cities: Columbus, Ohio, home of Wendy’s corporate headquarters; Salt Lake City, Utah; and Columbia, South Carolina. Tasters say Wendy’s new veggie burger is pleasant and savory enough to justify paying an average $4.59 per sandwich. Yes, the price is higher than your standard dollar menu Jr. Bacon Cheeseburger, but it’s an absolute steal for vegetarians who historically don’t get to enjoy the occasional quick-service drive-through meal like the rest of America. 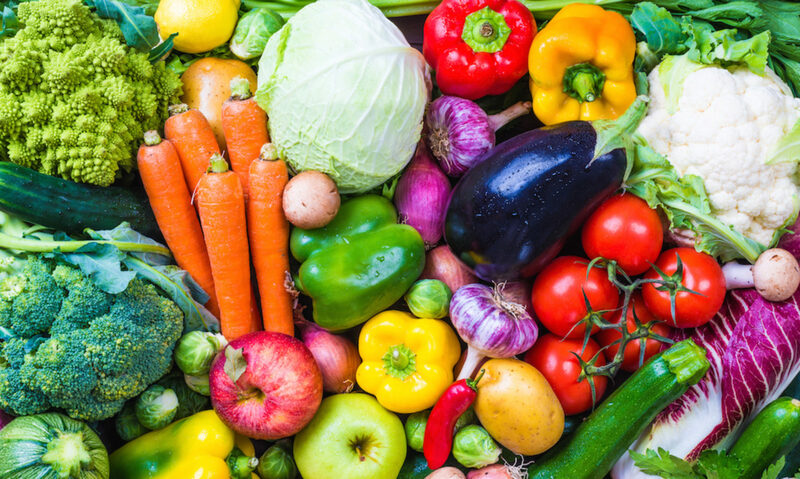 It’s also a great price if you want robust flavor in a healthier and more environmentally sound alternative to meat in your fast food experience. People are practically begging to have the Black Bean Burger brought to their cities. If you’re interested in getting Wendy’s to debut its new veggie Black Bean Burger in your hometown, try voicing your opinion in the online petitions at VegFest.org and Change.org to hopefully bring the Black Bean Veggie Burger to your neighborhood.